Can I Refuse a Breathalyzer or Chemical Test in Arkansas? The short answer is yes, you can, but in most cases, you shouldn’t. If an officer suspects you are intoxicated, then the officer will most likely administer a sobriety test and request a breathalyzer test. Refusing to blow a breathalyzer is becoming an increasingly common strategy when pulled over for a suspected DWI. Is it a good idea? Many people think that if they are pulled over and charged with a DWI or DUI, then they can just refuse a breathalyzer test or chemical test. Oftentimes, the hope is that by refusing to take the test, you will not get charged with a crime. While it is true that you can refuse a test, it won’t keep you from getting charged by the police officer on the scene. Typically, refusal of the test may actually lead to a DWI or DUI charge and an additional charge due to violation of the implied consent laws in Arkansas. When a person is involved in an accident while operating or in actual physical control of a motor vehicle or motorboat. When a person is stopped by a law enforcement officer who has reasonable cause to believe the person is under the influence of alcohol or drugs while operating or in physical control of a motor vehicle or boat. What’s key in the scenarios listed above is that it’s the law enforcement officer who decides whether you need to submit to a breathalyzer test or a chemical test of your blood, saliva or urine. If you are suspected to be driving under the influence or while intoxicated, you are automatically considered to have given consent for law enforcement to conduct tests. If they suspect you are intoxicated, you can bet that they’ll test you. Drivers license revocation for a lifetime for a 4th offense within 5 years of the first offense. Obviously, the smartest and safest choice is not to drive if you’ve been drinking alcohol or if you’re under the influence of drugs, even prescription drugs that may cause impairment. Arkansas has strict DWI laws, as defendants may not plea out their case to reduce a drunk driving charge. In addition, Arkansas DWI laws permit an automatic suspension of your driver’s license upon a first offense and penalties continue to increase with each additional offense. Particulars aside, DUI or DWI is always considered a serious offense that may result in criminal charges. Choosing to drive while under the influence is not taken lightly by law enforcement officers or a court of law. 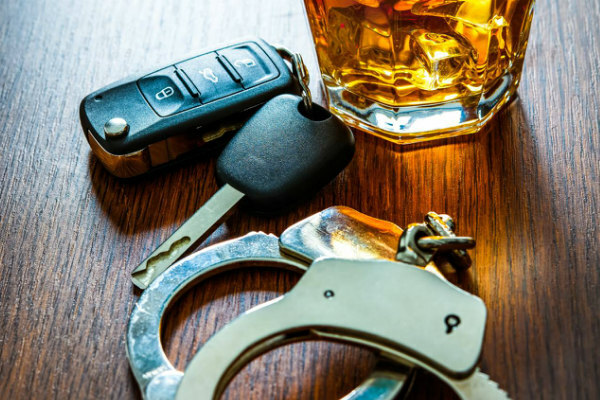 No matter the circumstances of your arrest, if you are being charged with DWI / DUI or refusal to submit a chemical test, it is always valuable to seek the counsel of an experienced DWI / DUI attorney who can help you navigate the charges and criminal proceedings. DWI / DUI Laws can be confusing and every case is unique. Contact the Law Office of Jason M. Hatfield today at 479-351-3575 for your free, no obligation consultation.